Early 20th century Italian sculpture attracts six-figure result in German auction house. Auction house Jens Mehlis (23% buyer’s premium) in Plauen was overwhelmed with bids when an early 20th century marble sculpture came up for sale on February 21-23. 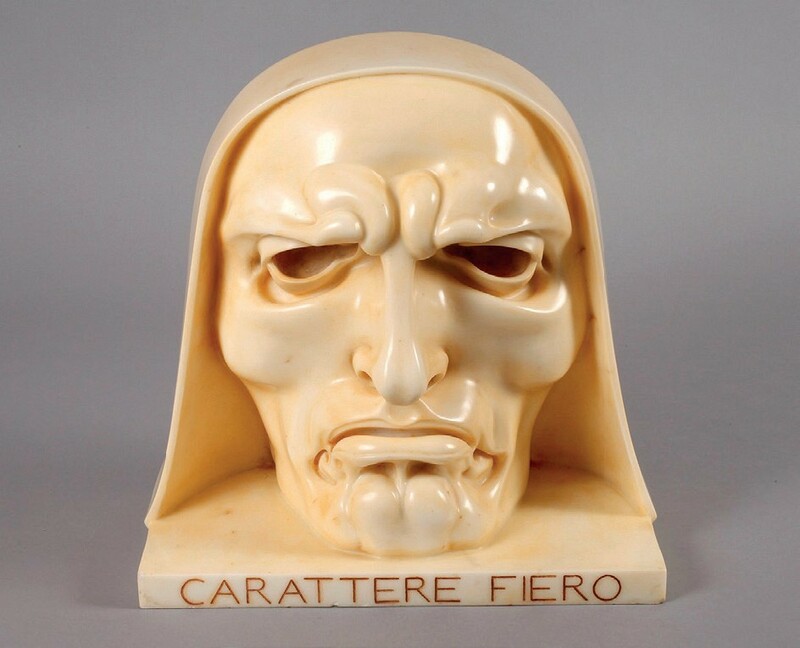 The 14in (36cm) high bust Carattere Fiero (Proud Character) was the work of the Italian sculptor Adolfo Wildt (1861-1931). He was a highly influential Symbolist artist who paved the way for many Modernist sculptors (his pupils included Lucio Fontana and Fausto Melotti). Wildt had taken up sculpture in 1892 and two years later he came to the notice of a German collector Franz Rose, who for the next two decades provided the artist with a regular monthly income in exchange for the first copy of every new work he created. This highly lucrative partnership came to an end in 1912 with Rose’s death. From then on, Wildt was forced to fend for himself and confront the vagaries of the art market. 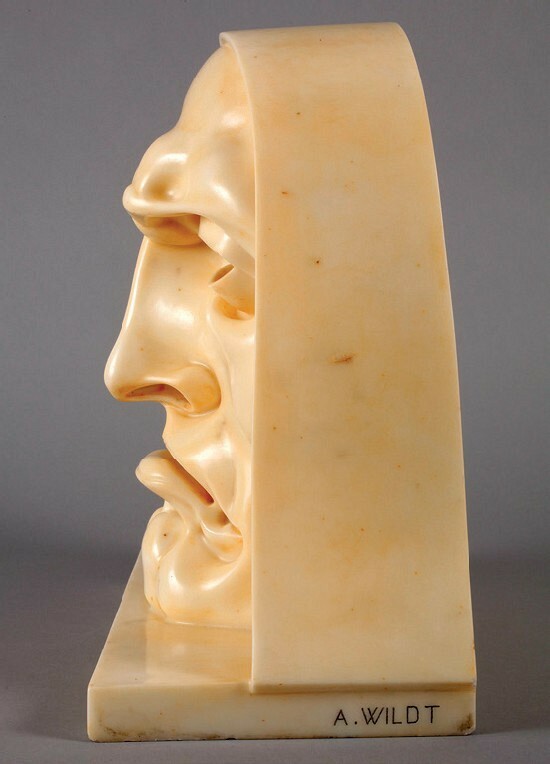 Wildt executed a number of versions of his Carattere Fiero from 1912 onwards, several of them in combination with a woman’s head, titled Anima Gentile (Noble Mind), expressions of the two sides of the human soul. At the Mehlis sale the modest estimate of €1200 attracted the attention of numerous international bidders who were prepared to invest a great deal more and it took over 20 minutes before the hammer fell. The successful bidder was Italian and even though he paid a highly respectable €120,000 (£104,350), the price was still a long way off the auction record for the artist, which was set at £400,000 by Sotheby’s, London, in December 2015 for the marble head Santa Lucia. A gold ground 15th century painting of The Virgin which realised €55,000 (£47,825) at Nagel in Stuttgart. Two panel paintings were the high-fliers at Nagel’s (33% buyer’s premium) first spring sale in Stuttgart on February 27-28. First up was a gold ground work with a portrait of the Virgin. 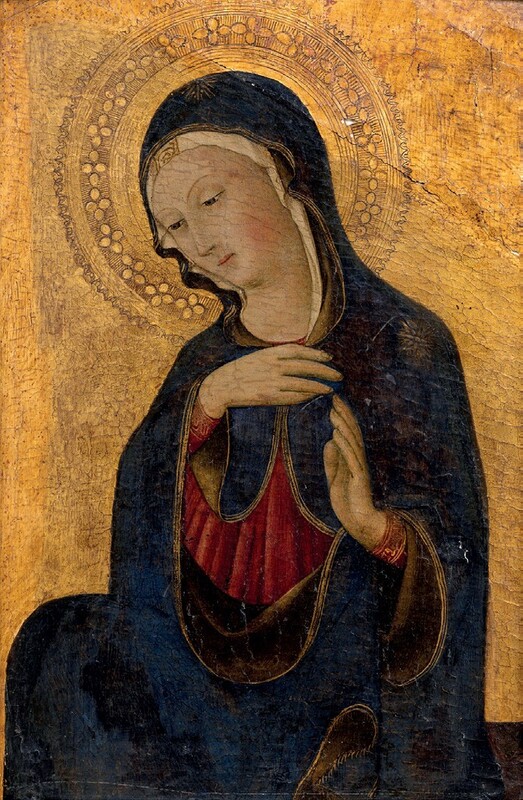 The inscription on the reverse of the 17 x 11in (43 x 29cm) panel ascribed the painting to a Sienese master of the 15th century and described the subject as a Madonna from a scene of the Annunciation. A wax seal bore a further inscription: JA Ramboux. This was most probably an indication that the painting was once the property of the German painter Joseph Anton Ramboux (1790-1866), who lived and worked in Rome from 1816-22. In 1832 he returned to Italy where he travelled for about 10 years. During his visits he is known to have copied numerous early Italian frescos and mosaics. Whether the provenance contributed to the international interest for the Madonna remains to be seen, but the moderate estimate of €1500 most certainly did. Bids came in from several quarters and the work sold to a European collector for €55,000 (£47,825), the top price of the sale. A 17th century Dutch portrait of a shepherd by Govaert Flinck sold for €48,000 (£41,740) also at Nagel. There were no doubts about the attribution of the 17th century Portrait of a Young Man as a Shepherd which also caused a stir in Stuttgart. The 2ft 2in x 20in (67 x 51cm) panel was signed by Govaert Flinck (1615-60) and indistinctly dated. 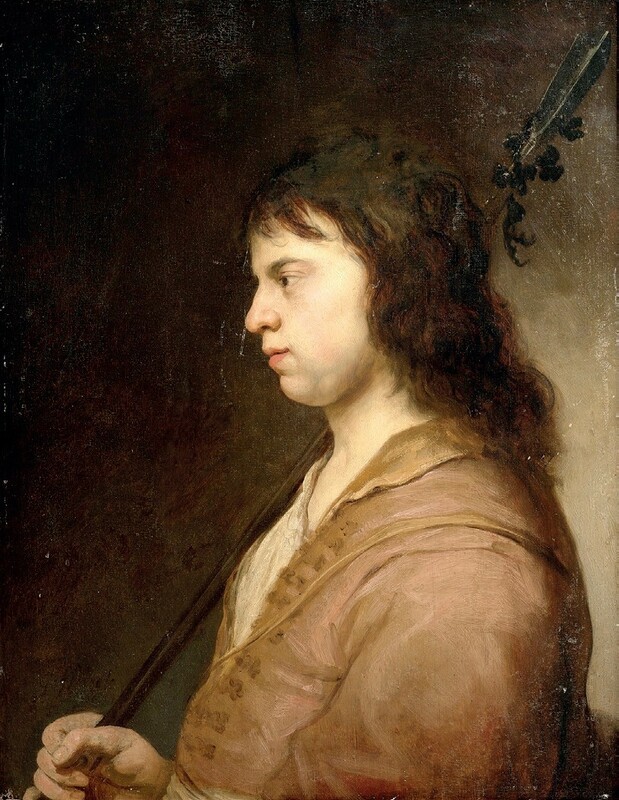 Paintings of this kind became popular in Holland in the 1620s, mirroring the fashion for pastoral literature, poetry and song books and providing motifs for Govaert Flinck and many of his contemporaries. The popularity seems to be undiminished today – the bidders pushed the guide of €7500 to a hammer price of €48,000 (£41,740), bid by a German collector.